With news about The Dark Knight Rises, a new Green Lantern image and three new X-Men: First Class stills finding their way online, today has been all about upcoming superhero movies. You'd think that they'd want to space it out a bit so that each piece could dominate the news on its own day, but apparently that's not the way things work. And now, to top it all off, we have the first poster for the next installment of the X-Men franchise. Hosted over at AICN, the word "Men" is strangely left out of the title, simply going with a lone "X" and, along the bottom "First Class." 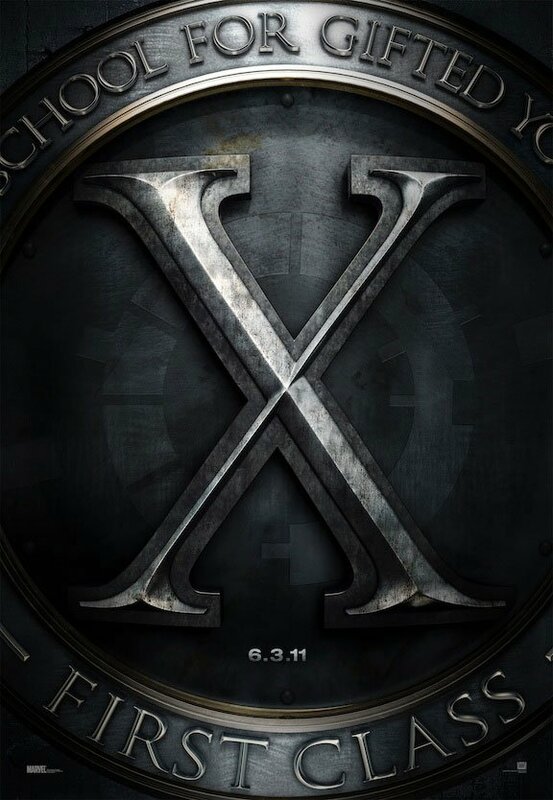 The "X" itself is also much different than we've seen from previous films in the franchise, using a much more stylized, seriffed font. Check it out below.